We analyze the real estate market exactly according to your individual criteria and list all corresponding real estate listings in detail. If you would like to sell your Florida property, we will determine the selling price in line with the market. We support you in the selection and purchase of your property in Florida. 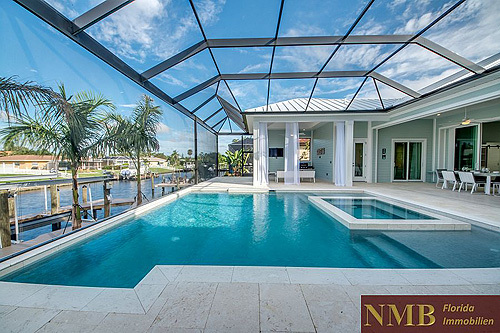 Afterwards we accompany you from the planning to the realization and final closing (certificate of occupancy) of your new construction in Cape Coral/Fort Myers/ Sanibel Island. We also take care of you after the purchase of your property in Florida and handle the international marketing of your vacation home for you. The local property management in Cape Coral takes over all necessary maintenance and home checks for you. 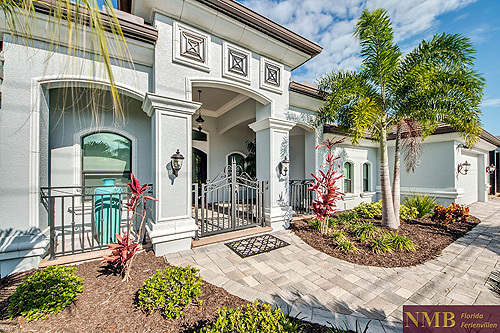 Rent a vacation home in Cape Coral, Florida for your well-deserved Florida vacation. 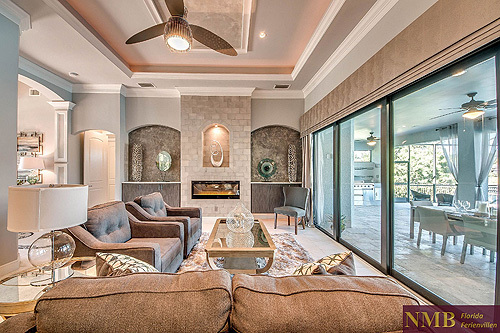 We offer an exclusive selection of well-kept vavation homes and vacation villas of all categories and styles - from affordable to luxurious. During your stay you will always have a local representative through the property management. 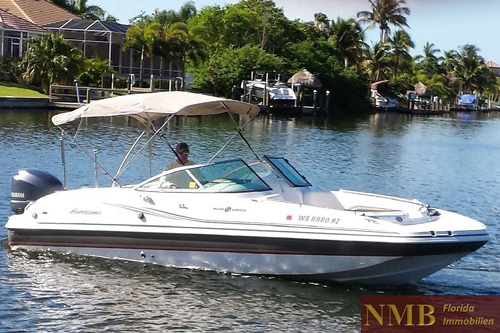 Book your boat right away to your holiday home in Cape Coral - from 3 days rental period your boat will be delivered directly to the vacation home's own boat dock. A boat licence is not required in Florida to rent a boat. You only need to be 21 years old and have a valid driving licence. All mentioned boat prices Cape Coral are complete prices including tax - no hidden costs. 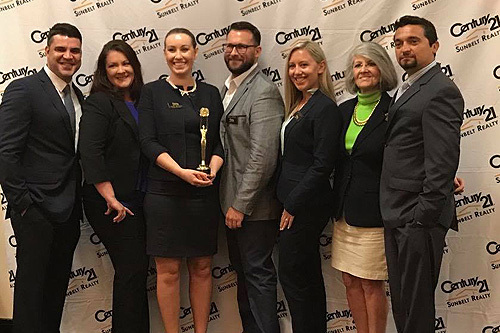 Sunbelt Realty Inc. has been the #1 CENTURY 21 real estate agency in Florida since 1996. Countless awards for the number of properties sold and customer service document this leading position in Florida. Sunbelt Realty's "Elite Team" is one of the top teams in Florida and guarantees first-class customer service. Our customers' ratings speak for themselves. What are the reasons for buying property in Florida? Florida is one of the fastest growing states in the U.S.
We can help you find and finance Florida properties - from luxury, residential and seaside properties to vacant land, businesses or investment properties in Florida. 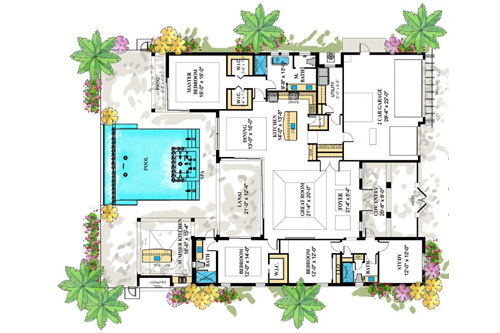 If you want to buy a property, vacant land, business, company, single family home or apartment on a golf course or an investment property in Florida, as a local Florida real estate agent we professionally organize the entire acquisition, purchase transaction, financing and marketing of the property as a vacation home. In consultation with our customers we provide the complete interior design from furniture to decorations to the toaster - ready to move in. We also take over the construction supervision for the new construction, renovation or extension of your Florida property. Service from A-Z is our corporate philosophy. We have numerous references. We offer a top range of quality and luxurious vacation homes in Cape Coral for a relaxing vacation, including boat rental. Rent a quality villa or house with pool and boat access to the Gulf of Mexico for your next vacation with us. In our real estate search you will find all real estate listings of the Multiple Listing Service Florida (MLS).